I have to copy an ordinary, flat door lock key (not a mortise, no 3D dimples or special features), like in the machines ubiquitous in the West at hardware stores & DIY shops. I walked the length of the main market in Rishikesh trying to explain what key copying was & got sent around in circles. Definitely no sign or sound of those key grinding lathes. Anyone else successful at making a key copy, with a recommendation of a particular shop, or even a type of shop to look for? It's not a silly or lazy question: today I asked a property agent here (fluent in English) how he would copy a key for one of his apartments and he genuinely had no idea. You are a long, long way away from my city, but the story of how I first got a key cut in India might apply. People had directed and pointed me to the key cutter. I walked up and down the street a couple of times. I asked again. Somebody pointed down to the man himself. Down to the man himself. I had been looking at shops, over his head: he was working on the pavement. Otherwise, look for a lock shop! Might be called a hardware store. Don't know exactly what it would be in the local language there... even in English! But there must be shops that sell builders' stuff. See if the below helps. 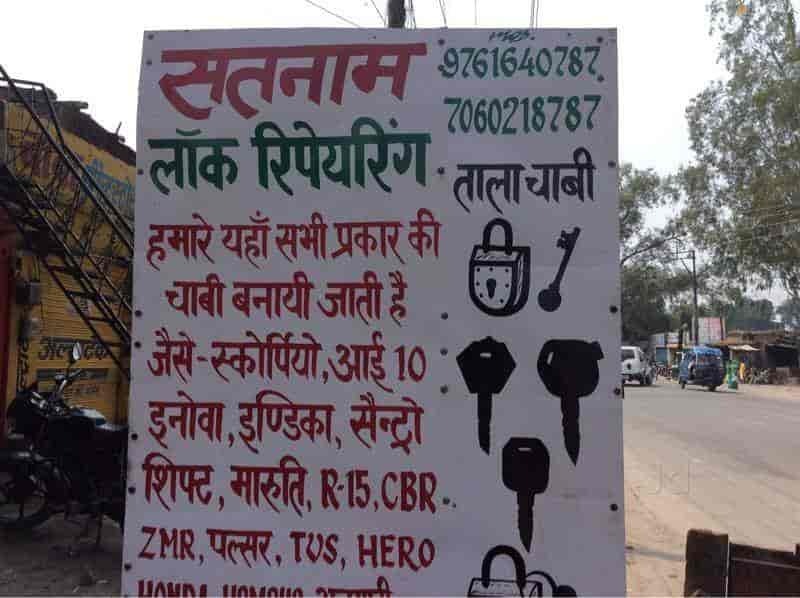 Seems to be a specialist of vehicle keys. I had been looking at shops, over his head: he was working on the pavement. rphair, that is exactly where you look, no matter in which part of India you are. There are no grinding lathes, it is just a man with small tools and plenty of keys spread in front of him. something reliable: but is it economical? He said he'd copy my flat house key for ₹200 and I went ahead with it since I'd already walked up & down the Maya Kund market street from the Chandrabhaga Bridge to the Fruit market and not seen any key walas on the sidewalk or anywhere else. He had a bag with partially cut keys and blanks and he filed a groove into a blank that resembled mine although made for a different kind of lock. I was amazed that it fit my lock, and it even worked once or twice when massaging it in, but never under normal conditions... a write-off. I showed him the picture of the first guyI'd been calling the "choppy wala" and the two guys looked at each other & chuckled (I asked them if they knew him from the gurdwara and got no answer). I also showed them my first jagged key copy & they said there was nothing they could do with it. The non-negotiable charge was ₹400 (750 for 2 keys)... I would be interested if anyone thinks this is standard, fair, reasonable, or exploitative. The key they made was perfect except for the positioning notch so I am probably going to go back & ask them to redo it (they offered this as a guarantee). I did look up their machine & found they sell for ₹50K so of course they have expenses, though perhaps paid off from their "40 years in business". They certainly looked at home on the more quiet market street away from all the traffic on the main road, and if I'd had my wits fully about me in previous trips to the market district I would have recognised them for a key cutter since I'd passed them a couple of times... i.e., this was another case of me not seeing an Indian enterprise that was "right under my nose." I also noticed that my original house keys have 5-digit serial numbers and I've written to the Indian key company on the logo asking if they can make new (perfect) ones given the serial number. So far I've enquired two different ways with no response & finally I am hoping if someone can tell me if that avenue would be productive or futile. I think you were overcharged, normal keys like the type you mentioned start at Rs40 and go up rs Rs95. Not just to foreigners, if he is the only one in town he will charge what he likes. It happens everywhere. Best advice is to try and get a local person to get the key cut, they may get away with paying the "Indian price". Maybe cheaper in the long run to change the whole lock and keys than trying to get "good" copies made? Try not to worry too much about a few $ here and there? ... when you live here, quickly becomes a few hundred rupees here and there. Epilogue: the ₹400 copy has never been perfect, since the key settings are fine but the notch close to the key handle that puts the key in the correct horizontal alignment was off by about half a mm, so the key often jams in the lock. 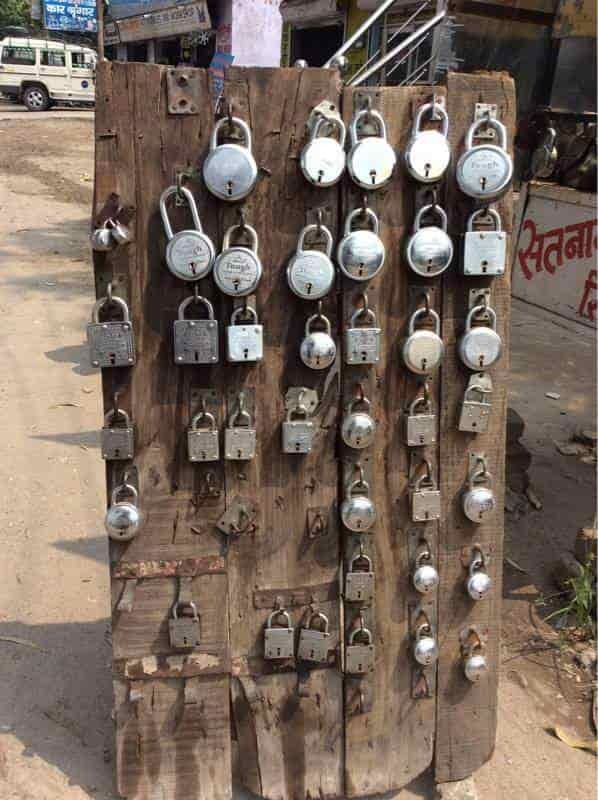 I went back to tell them and the shop patriarch was there... he took my address in the Rishikesh suburbs, banged a bit more on the key and asked me to call if there were still problems, in which case he would come to my flat and work on it along with the lock. That's not bad for a guarantee, and I'm passing this on since it helped me understand a bit more about the whole picture. Apartment for Rent in Rishikesh - Any help ? Looking for Iyengar yoga in Rishikesh ?